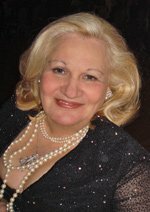 Helene Kamioner has enjoyed a distinguished career in the field of classical music. Born in Munich, Germany, Ms Kamioner was raised in the United States and, as an opera and voice major, educated at the New England Conservatory in Boston, The Rubin Academy of Music in Jerusalem, and the Juilliard School in New York. Her teachers have included Jennie Tourel, Giorgio Tozzi, Martha Schlamme, among others. Helene earned her BA from Hunter College in New York City. Since opening her own office in 1995, she has served as publicist for a long list of important clients including the North American Tours of the Bayerishe Rundfunk Orchestra, Staatskapelle Dresden, Leipzig Gewandhaus Orchestra, MetaProductions Ireland, and various speakers and authors. Ms Kamioner served as the Director of North American Public Relations for The Bayerische Staatsoper, Munich, for 9 years; as well known artists such as Neil Shicoff; the Beaux Arts Trio and their pianist Menahem Pressler; violinist Daniel Hope; violoncellist Daniel Mueller-Schott; Stage Director Christopher Alden; Conductors Marcello Viotti, Philippe Augin, Michael Boder; Contessa Renate Matuschka; The Usedom Music Festival [Usedom is a German island in the Baltic Sea, and there Ms. Kamioner organized press coverage of the memorial concert of Britten's War Requiem, conducted by Mstislav Rostropovich in the former missile development center of Peenemuende]; The Kronberg Festival under the patronage of Marta Istomin Casals; the Pinakothek der Moderne Museum in Munich; The Salzburg Marionetten; and the Sevilla International Music Festival, She is fluent in German and English and has a working knowledge of French, Italian, Hebrew and Yiddish. While residing in Germany, she worked with a variety of institutions in the classical music industry, including the Muenchner Konzertdirektion Hoertnagel in Munich, American Institute of Musical Studies in Austria, and as Stage Manager in the German opera houses of Freiburg, Kiel, and Braunschweig, overseeing over 70 opera productions. Upon her return to the US Helene was an account executive in the Public Relations Office of Alix B. Williamson, whose roster included Andre Watts, the Juilliard String Quartet, and the Chamber Music Society of Lincoln Center. In New York Ms Kamioner served as press agent for Opera at the Academy under the auspices of Joseph Papp and the Public Theater, for Millennial Arts Productions, and as Managerial Associate at Columbia Artists Management. Ms Kamioner has significant relationships with journalists, major media and publications throughout the world. A complete list is available upon request. Thank you very much for that excellent coverage of the Munich Opernfestspiele you made possible. I think the regular visits of the major critics really help. I had an especially nice lunch with Alex Ross last Saturday. I think Munich is now seen as a champion's league player in the American media. Many thanks again! I would like to recommend to you Helen Kamioner who is the Director of Creative Consultants for the Arts. A press agent who works with knowledge of the medium and with a heart for her clients. I have just had the experience that she succeeded in a short span of time to get a major article in the Sunday New York Times, Associated Press, Reuters, internet music services, etc. It is truly with all my heart that I can recommend her. She does not take "no" for an answer and the you will enjoy the fruits of her labor. I do it with the knowledge that she is one in a million. Helen Kamioner is, to say it in a few words, the best PR person on the market. Not only has she the best contacts but she also makes good use of them for the benefit of the Artists she is working for. Where others fail, she succeeds because she has a vision which goes beyond the ordinary boundaries. Helen Kamioner is one of a rare handful of artist's press representatives who are at one and the same time knowledgeable about the artists they represent, the music and art forms that motivate and inspire them, and the types of stories and interviews that might actually interest me and my readers and listeners. Also a woman of great character, charm, intelligence, humor, and professionalism, I would recommend her services without reservation. Helen Kamioner is no less than a miracle-worker. Her contacts in the media are unlimited and the respect of these media which she has so justly earned through her unwavering devotion to her clients result in a publicity machine without comparison. The publicity campaign she organized for my New York debut interviews on public radio, notices in TIME OUT NEW YORK and in OPERA NEWS were outstanding, and, the nex plus ultra, an interview with Matthew Gurewitsch which resulted in a two-page article with photos in the Sunday NEW YORK TIMES.